Ein intelligentes Backup-Tool für Windows. IvyBackup Home 2.8.2 war am 9. Mai 2018! als Giveaway verfügbar! IvyBackup erstellt vollständige und intelligente Sicherungen (differenziell und inkrementell). Es führt Backup-Tests durch und kann vollständig automatisierte Backups ausführen. IvyBackup ist mit Schnelligkeit und Effizienz unglaublich schnell. Es ist für einen geringen Ressourcenverbrauch optimiert, es wurde entwickelt, um Sie nicht zu verlangsamen. Backup von geöffneten / gesperrt /gerade verwendeten Dateien. Importieren / Exportieren von Sicherungsjobs, Einstellungen und Sicherungen. Backup auf lokalen und Wechseldatenträger. "Ivy Backup creates Full and Smart backups (i.e., differential and incremental backups." Features include: Cloud Storage support, automatic backups, encryption, Windows integration, and backup import/export. 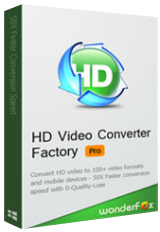 (b) Today's developer is punting a hopelessly rudimentary $25 product in hope of manipulating a sell-up to the $45 Ivy Backup Standard or $85 Ivy Backup Professional. Though I sincerely hope it's the former rather than the latter, neither are going to encourage a prospective customer: there's no excuse for muddle as complete as this. Thanks, GOTD, but no thanks. Another giveaway that leaves the GOTD user to try to figure out for herself / himself just exactly what is being offered. The developer of today's <b>IvyBackup Home 2.8.2 </b>says on this page: <b>"Ivy Backup creates Full and Smart backups (i.e., differential and incremental backups. 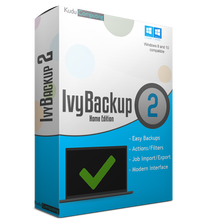 "</b> Features include: <b>Cloud Storage support, automatic backups, encryption, Windows integration,</b> and <b>backup import/export.</b> But on the IvyBackup version comparison page of its website: <b>https://www.ivybackup.com/features.html</b> the developer says of IvyBackup Home's features: Differential backup: NO Incremental backup: NO Cloud Storage support: NO Automatic backups: NO Encryption: NO Windows integration: NO Backup import / export: NO Which means that either: (a) Today's developer is so incompetent it can't even get the facts right about the software to which it would like folks to commit their time and effort to today, or: (b) Today's developer is punting a hopelessly rudimentary $25 product in hope of manipulating a sell-up to the $45 Ivy Backup Standard or $85 Ivy Backup Professional. Though I sincerely hope it's the former rather than the latter, neither are going to encourage a prospective customer: there's no excuse for muddle as complete as this. Thanks, GOTD, but no thanks. Managed to install and register on Win 10 (64) and that was all I managed to do with this. First attempt to run it and it crashed and had to be closed with task manager. Rebooted my system and ran it again and noted that it had not remembered it had been registered then it froze and refused to do anything. I might be missing something here, but I thought the idea was to encourage people to buy the developer's products instead of convincing us to steer clear of them. Garbage and uninstalled. If you look at the IvyBackup website, you will not find a hint that their software is sold as an annual subscription. On Jan 23, 2018 the standard edition was offered on a site that has shareware on sale with daily offers, and there was no mention that the software was a subscription service. At the time, the software was advertised that it was regularly 34.99. Their Professional edition was $64.99 at the time. Then on March 22, 2018, they offered the Standard edition on a different giveaway du jour site, also as a free offer. Again, the Standard was $34.99. The Fine Print stated: "After you purchase IvyBackup it may be used for 12 months and will not function after that unless you renew your subscription." And, "Upgrades to future versions of the software will be free up to the next major version. For versions after that, upgrades will require additional payment, which will not be discounted." In other words, you would need to pay $34.99 per year, and when the major version number changed, you would also have to pay the full prince for the software again. Imagine how much you would have paid in just a few years, and all the time you haven't see any significant improvements in the Backup software to justify the subscription. Backup software is not Rocket science. If the Backup software is decent enough to being with, it does not need a lot of updates throughout the year, so one year after your initial purchase, you are running essentially the same thing you started with. Otherwise, you purchased buggy software to begin with. If you purchase any Backup software that is offered as a subscription service, you need your head examined, or you need to read some good reviews of the alternatives. Maybe that finally sunk in with the developer, because now, it appears that the software is no longer offered as a subscription service, unless they have an even better scam then Backup Subscriptions. They have increased their prices by $10 for the Standard, and $20 for the professional, and dropped the subscription. May be it is another marketing attempt. The Home edition is so limited that you cannot use it to rescue a OS system disk, so all you get out of it is saving some of your personal files to a different drive. I cannot see any advantage to using it over something like 7-Zip to save copies of your documents. Both programs are creating your files in a zip format, so if the IvyBackup were to be on a drive that got destroyed, the simplest way to get your files back would be use 7-Zip anyway. I'm still a bit leery at this point based on seeing what this company attempted in the past. Thank goodness there are some excellent alternatives as others have already mentioned. If you look at the IvyBackup website, you will not find a hint that their software is sold as an annual subscription. On Jan 23, 2018 the standard edition was offered on a site that has shareware on sale with daily offers, and there was no mention that the software was a subscription service. At the time, the software was advertised that it was regularly 34.99. Their Professional edition was $64.99 at the time. Then on March 22, 2018, they offered the Standard edition on a different giveaway du jour site, also as a free offer. Again, the Standard was $34.99. The Fine Print stated: "After you purchase IvyBackup it may be used for 12 months and will not function after that unless you renew your subscription." And, "Upgrades to future versions of the software will be free up to the next major version. For versions after that, upgrades will require additional payment, which will not be discounted." In other words, you would need to pay $34.99 per year, and when the major version number changed, you would also have to pay the full prince for the software again. Imagine how much you would have paid in just a few years, and all the time you haven't see any significant improvements in the Backup software to justify the subscription. Backup software is not Rocket science. If the Backup software is decent enough to being with, it does not need a lot of updates throughout the year, so one year after your initial purchase, you are running essentially the same thing you started with. Otherwise, you purchased buggy software to begin with. If you purchase any Backup software that is offered as a subscription service, you need your head examined, or you need to read some good reviews of the alternatives. Maybe that finally sunk in with the developer, because now, it appears that the software is no longer offered as a subscription service, unless they have an even better scam then Backup Subscriptions. They have increased their prices by $10 for the Standard, and $20 for the professional, and dropped the subscription. May be it is another marketing attempt. The Home edition is so limited that you cannot use it to rescue a OS system disk, so all you get out of it is saving some of your personal files to a different drive. I cannot see any advantage to using it over something like 7-Zip to save copies of your documents. Both programs are creating your files in a zip format, so if the IvyBackup were to be on a drive that got destroyed, the simplest way to get your files back would be use 7-Zip anyway. I'm still a bit leery at this point based on seeing what this company attempted in the past. Thank goodness there are some excellent alternatives as others have already mentioned. You can create backups with the home version however, you cannot restore them. You can create backups with the home version however, you cannot restore them. hahahaha no thanks. You can restore all the backups you create with the home edition. Matthew, You can restore all the backups you create with the home edition. Thanks for today's offer. Will have a try. I'm now using aomei backupper free available at here and 99% satisfied. Some days ago, aomei backupper paid edition was there for giveaway, however, it had expired when I came. Will it be here again or cannot find it anymore? If u guys bring it back, I am glad to replace my free version. Thanks for today's offer. Will have a try. I'm now using aomei backupper free available at <a href="https://www.backup-utility.com/free-backup-software.html">here</a> and 99% satisfied. Some days ago, aomei backupper paid edition was there for giveaway, however, it had expired when I came. Will it be here again or cannot find it anymore? If u guys bring it back, I am glad to replace my free version. Sorry Stefan, I had a disaster with the "free" version AOMEI. It would NOT restore. Contacted AOMEI . They wrote to me "It is a known bug we already found". They couldn't help me. It was simply a disaster. Do NOT depend on it unless AOMEI confirms the bug is fixed. Sorry Stefan, I had a disaster with the "free" version AOMEI. It would NOT restore. Contacted AOMEI . They wrote to me "It is a known bug we already found". They couldn't help me. It was simply a disaster. Do NOT depend on it unless AOMEI confirms the bug is fixed.